A city ordinance condemning white supremacy and alt right groups has the unanimous approval of the Portland City Council. Adopted last Thursday, the resolution calls for the city to work with community organizations to inform the public about the historical discriminatory impacts of white supremacy in Portland and the state and how to identify and push back against racist ideologies today. “This is not a silver bullet, but I’m hopeful this resolution is the start to meaningful action,” Mayor Ted Wheeler said. The measure comes in part as a response to rise in hate crimes. The Portland non-profits Council on American-Islamic Relations, Oregon Justice Resource Center, and the Western States Center all voiced support of the resolution and outlined six action items they would like the city to address in regard to white nationalist and alt-right group activity in Portland. 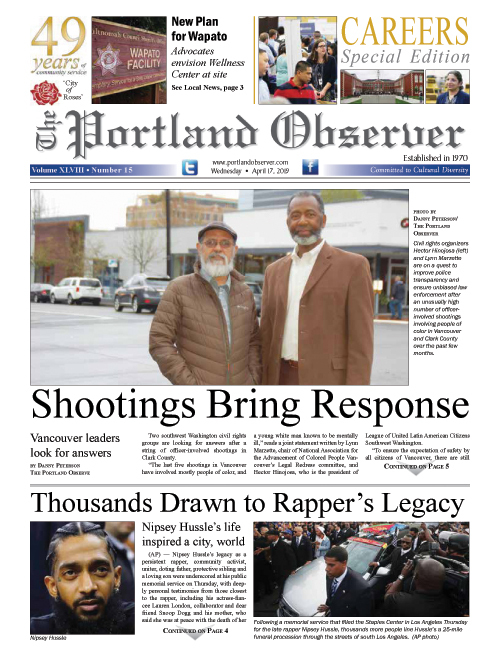 “Our proposals build on the important step Mayor Wheeler and the City Commissioners have taken today,” said Bobbin Singh, executive director of the Oregon Justice Resource Center. In a joint statement, the three organizations said they hope to work closely with City leadership to implement action items.